Healander said he and Lee Lichlyter, CEO of Geometri and former CEO of GISi, are looking for strategic partners in the industry so they can grow faster. Geometri is still part of the GISi family but is now more of a holding company. GISi was one of ten Esri platinum partners and now Geometri is part of the Esri startup program. 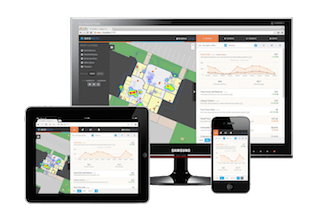 Pole Star, a leader in indoor location technology, has been selected by AlwaysOn as one of the OnMobile Top 50 Companies to Watch in 2013. The company was selected based on the following criteria: innovation, market potential, commercialization, stakeholder value and media buzz. Pole Star launched NAO BlueSpot in 2012, the so-called “first” low-cost BLE 4.0 (Bluetooth Low Energy) beacons for the indoor location market. This type of technology has been slower to mature than some others, but the launch paved the way for functions such as proximity detection to identify that someone is inside a structure and send different notifications while entering or exiting the area. 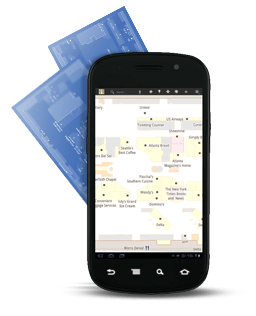 NAO Campus, another Pole Star product, provides accurate and metric indoor location for in-store navigation to physical products and advanced analytics to develop new insights around agreeable consumer behavior. This technology is particularly in shopping malls and other large retail venues. To date, more than 2,000 NAO BlueSpots which are compatible with iOS 6 and iOS 7 as well as Android have been deployed in various locations in Europe and the U.S. According to a report by ABI Research entitled, “Indoor Location Smartphone Applications,” the ecosystem necessary to drive mass adoption of indoor location applications will be in place by 2016. 1) Robotic drivers are being tested by Google’s Prius — drivers who don’t fall asleep at the wheel, get DUIs or speed or get traffic tickets. How it works – LiDAR provides a continuously updated 3D map of the world at centimeter accuracy that extend for more than 230 feet around the car. Four standard automotive radars with less resolution and greater range, three in front and one in the rear, are added to the LiDAR. A high resolution video camera is situated inside the car next to the rear-view mirror to detect street lights and moving obstacles like pedestrians and bicyclists. The Prius also has a GPS receiver and an inertial motion sensor.